Two firms whose job candidates lost the H-1B visa lottery have filed a lawsuit that seeks to end the current distribution system based on luck. The lawsuit says there is "no legal justification" for the visa lottery and wants it replaced by a system that issues H-1B visas in the order they are received. This complaint, filed in U.S. District Court in Oregon, is brought by Tenrec Inc., a web development firm. It had filed a visa petition for a citizen of Ukraine for the position of lead developer. A second company, Walker Macy LLC, a landscape architecture, urban design and planning firm, filed a petition to hire a citizen of China for a position as landscape designer. Neither visa candidate won the most recent lottery. The law requires visas to be issued in "an orderly filing system and process of issuing visas in the order in which petitions are filed, and not a random lottery process," their attorney, Brent Renison at Parrilli Renison, wrote in the lawsuit. The law firm is based in Portland, Ore. The lawsuit argues that the U.S. Citizenship and Immigration Service (USCIS) acted illegally, or outside the intent of Congress, when it created an H-1B visa distribution system based on chance. The system is being gamed by large firms at the expense of smaller companies, the plaintiffs argue. They are seeking class action status. Under the H-1B program, employers sponsor a worker and apply for the visa. The U.S. received 236,000 H-1B petitions this year for the 85,000 visas allowed under the current cap. A computer-generated lottery is used to distributed the visas, meaning the odds of actually getting a visa are roughly one-in-three. One concern is that the system can be skewed if larger companies like IT outsourcing firms submit more visa petitions than the need. Visa-seeking job candidates may also be seeking multiple employer sponsors, but it's difficult know to what extent either demand or desperation drives up the annual petition count. Replacing the lottery with a system based on when a visa petition is filed means that if a petitioner doesn't get a visa the first time around, that request would move up the list the next year. The lawsuit also asks the court to allow visa petitioners to file for visas throughout the year, not just beginning on April 1. The plaintiffs are seeking a summary judgment, or quick action by the court to remedy their complaint before a trial. If the summary judgment motion succeeds, the USCIS could be forced to end to the lottery in time for the Fiscal Year 2018 visa distribution. The lottery system was established by regulation, and didn't include enough protections to keep it from being abused. The USCIS "did not prohibit multiple filings by different employers on behalf of the same individual, or bar large companies from multiple filings through different business units," it says, in part. "This situation is unfair to small businesses, and is not the result intended by Congress when the statute was enacted," according to the lawsuit's summary judgment motion. In that motion, the plaintiffs argue: "Each petitioner should have an equal chance, regardless of size, to establish a petition filing date. The lottery system, however, has invited some larger employers with multiple entities, and some enterprising beneficiaries with multiple job offers from multiple different employers, to game the system and have a better chance at a number than others filing on the same day. This is a capricious result, not dependent on filing date but on the advantage a larger corporate structure or multiple job offer situation can be brought to bear." The lottery was established in 2005, and in the request for comments about the proposed regulation, the lawsuit notes that USCIS "received comments urging the establishment of a priority date and waitlist system," but declined to do so because "the need for the [visa applicant's] service...may dissipate over the course of time." The plaintiffs say this reason "was not one enunciated by Congress, and not a consideration listed in the statute passed by Congress." 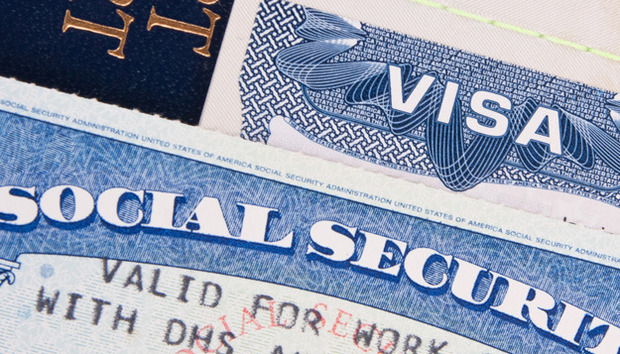 The visa lottery system has come under increasing scrutiny as demand for visas increases. The U.S. was sued last month by two business immigration groups, which want the the government to produce documents showing how the visa distribution process works. The lawsuit by the American Immigration Lawyers Association (AILA) and the American Immigration Council (AIC) follows a Freedom of Information Act request for documents. They claim the government withheld many documents and heavily redacted others.